Euro continues forming ascending structure; right now market is consolidating inside its third wave. 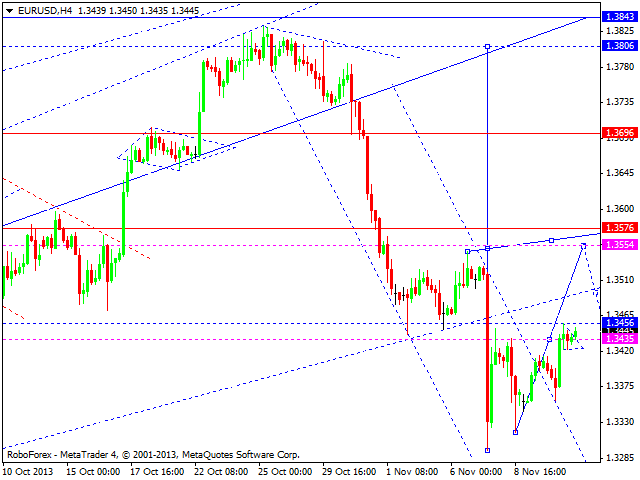 We think, today the price may reach local target at 1.3554 and then fall down again to break this descending channel. Later, in our opinion, the pair may complete this ascending structure by forming the fifth ascending wave towards 1.3575 and then start new five-wave correction. Pound reached target of another descending wave. We think, today the price may start forming reversal structure to start new ascending movement. 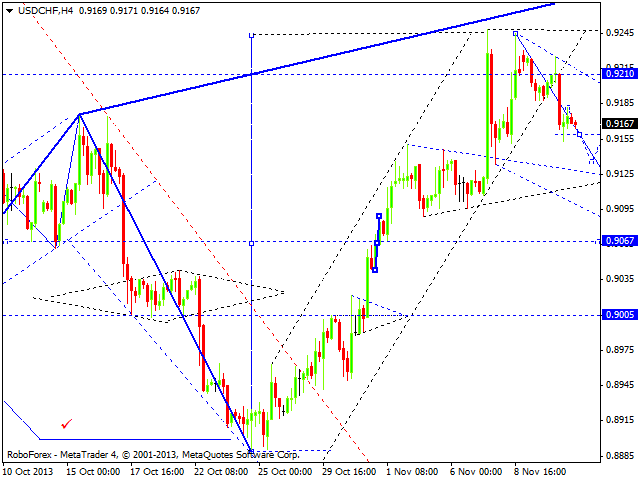 The first target is at 1.6035; this ascending movement is expected to be five-wave structure. After completing this ascending wave, we can assess ration between descending wave and its correction to see if pair is going to continue growing up to reach new maximum and break upper border of triangle from weekly chart. Franc continues forming the third descending wave. We think, today the price may reach local target at 0.9075, return to 0.9165, and then start another descending structure. This whole wave is considered to be correction towards the previous ascending wave. Ratio between this ascending wave and its correction will help us to define one of future scenarios, main of which implies that price may continue falling down to break minimums. Yen completed its ascending movement; market is rebounding from upper border of triangle from daily chart. 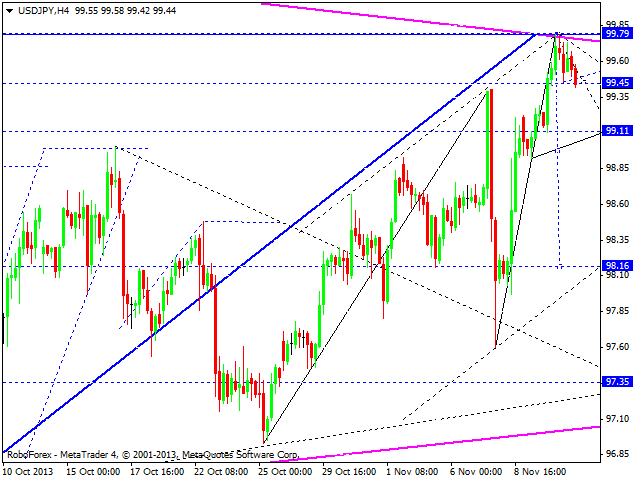 Right now, price is forming the first wave of the third descending structure; target is at 99.11. Later, in our opinion, pair may correct this wave and then continue moving downwards. Main target is at 96.00. 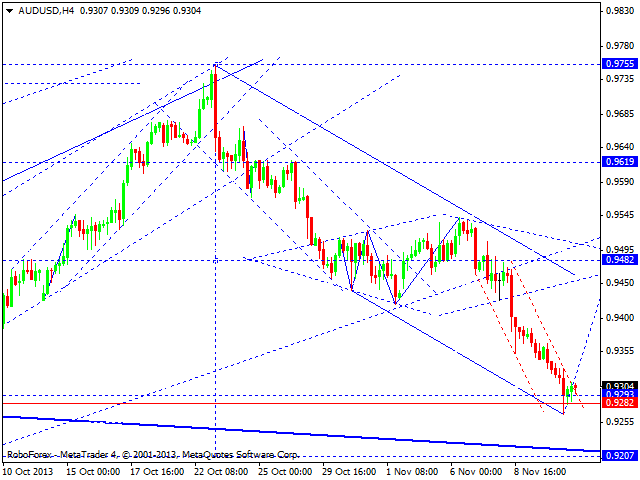 Australian Dollar reached its local target of decline. We should note, that this wave may continue to reach 0.9210. We think, today price may form correction to return to 0.9480 to test it from below and then continue forming descending structure towards main target of this wave. 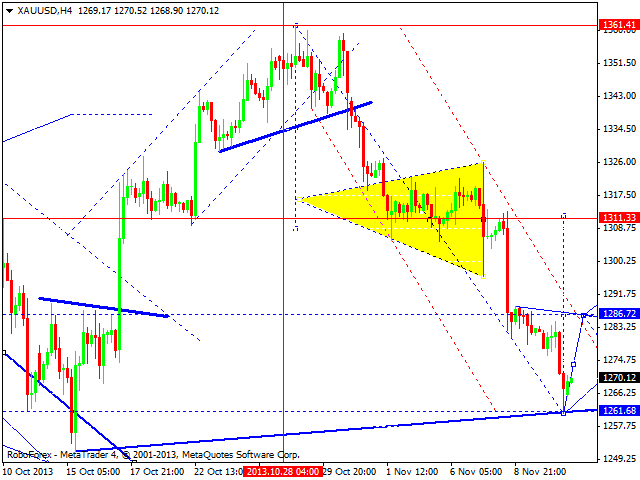 Gold reached predicted target of this descending wave and completed the first wave onside the fifth one. 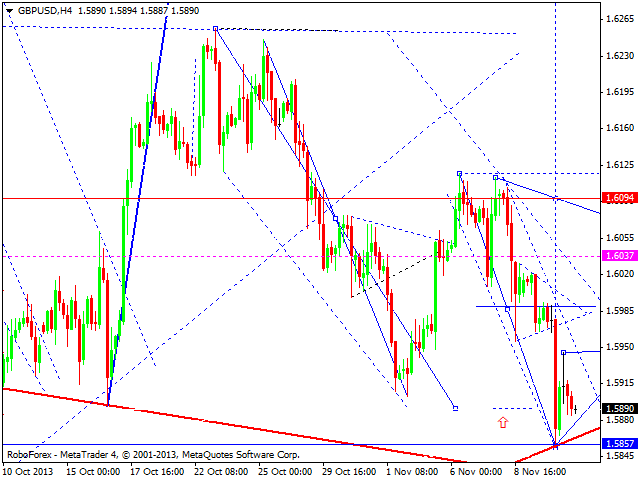 We think, today price may form correction to return to 1311 to test it from below and then continue falling down. Main target is at 1195.